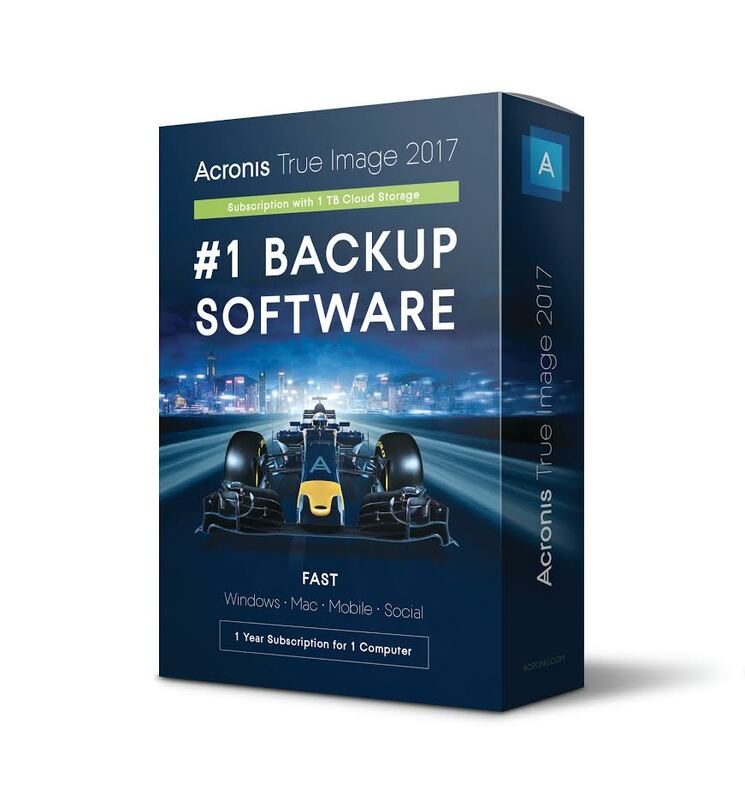 Dubai, UAE: Acronis®, a leading provider of hybrid cloud data protection, today announced Acronis True Image 2017, the latest release of the world’s fastest personal backup software. The 2017 release provides the most complete personal data protection available on the market. Acronis True Image 2017 combines the unmatched Acronis full image local and cloud backup for computers with new wireless backup for mobile devices to local Windows computers or the secure Acronis Cloud, support for an unlimited number of mobile devices, and complete backup of Facebook account data. Three to six times faster on Windows computers than competing products for backing up and recovering using an external USB 3.0 drive. 30% faster than Apple Time Machine on Apple computers. 60% faster than previous versions of Acronis True Image in popular scenarios. As a global partner of the Scuderia Toro Rosso Formula 1 Racing Team, Acronis puts its technologies to the test in workloads demanded by the most technologically advanced sport. Wireless mobile device backup to Windows computers – Backup an unlimited number of iPhones, iPads, and Android mobile devices to your computer at the full speed of your local Wi-Fi network. Recover all content to the same or another device, even if it’s just a single photo or contact. Remote backup management – Protect all your computers and help family members with protecting theirs, even if they are far away. Review the data protection status in real-time for any computer or mobile device data via a touch-friendly online dashboard. Incremental Facebook backup – Automatically back up all your Facebook account content, including photos, videos, contacts, comments, and likes. Users are protected from accidental deletions, hacker attacks, application failures, or social network errors that can erase precious memories. Archiving to the cloud or external storage devices – Free up disk space by moving large or rarely used files from your Windows or Apple computer to an external drive, NAS device, network share, or the Acronis Cloud. Access the archives by using File Explorer, Finder, or a web browser. Enhanced NAS – Automatically discover NAS devices available on the local network, pre-configuring them for backup storage, and automatically re-connecting them if they are temporarily unavailable. Acronis True Image 2017 has many additional new features, such as search in local and Cloud backups, encryption for archives, comments for backups, Windows Explorer integration, a refreshed touch-friendly user interface on iOS and Android devices, and much more. Acronis True Image 2017 is available for purchase as a perpetual license, starting at 49.99€ or a subscription, starting at 39.99 € per year. Acronis sets the standard for New Generation Data Protection through its backup, disaster recovery, and secure access solutions. Powered by the Acronis AnyData Engine and set apart by its image technology, Acronis delivers easy, complete and safe backups of all files, applications and operating systems across any environment—virtual, physical, cloud and mobile. Founded in 2003, Acronis protects the data of over 5 million consumers and 500,000 businesses in over 145 countries. With its more than 50 patents, Acronis’ products have been named best product of the year and cover a range of features, including migration, cloning, and replication.